No reviews in for this peach of an episode, shocking! I remember this one very well from first time around and had not seen it since then, but still felt like I watched it only yesterday, which I did as I write this, but you know what I mean?! Just a great episode, a nice gritty storyline where Arthur is being stitched up by Billy Mitchell's character Grant Gedley, who was selling cars at ridiculous prices to force Arthur off the manor and went to extreme lengths to achieve this, but he didn't realise the power of the Daley's! Grant had recently taken over the business from his father, who was a bit of an old school gent with fingers in many pies, including money lending, but Grant wanted to make his mark and do things his way and Daddy just couldn't see him doing wrong, but Ray and Arthur soon got things sorted. I thought Ray was really getting into his stride in this series and a pity it is so soon coming to an end. It was good seeing Grant get his comeuppance! I am so glad we finally have a review here that gives this episode the credit it deserves. I wholeheartedly concur with all the points you've made here daz and agree that series 10 is a real belter and my favourite Ray Daley series. Eastender Perry Fenwick proving here he was more than Billy Mitchell in my opinion and this was a quality episode showing no drop of quality right to the end. Good episode,right up to the point that all 15 listeners to a pirate station all decide they need to buy a second hand motor ,on the same day,at the same time.They do a similar thing in Cars and Pints and Pains when Arthur hasn't sold a car for months,but lets it be known he is moving into rental and lo and behold,they're all rented out within an hour.Poor/lazy writing imho. A very good episode, which I can remember enjoying watching, when the episode was first shown, in 1994, I thought Perry Fenwick, made a very good Minder villain, I have never been a fan of Rap music, but I very much liked the scenes, featuring the Pirate Radio Station, scenes that make me laugh, every time I see the episode - Go Daley. This was a good watch from the Ray days.I don't think there was a dull moment. As jno previously stated, unfortunate that it was on the way to being wrapped up. I liked the episode, so much mid 90s culture, the business of cars being sold, the friends Ray befriend to help him and the police. 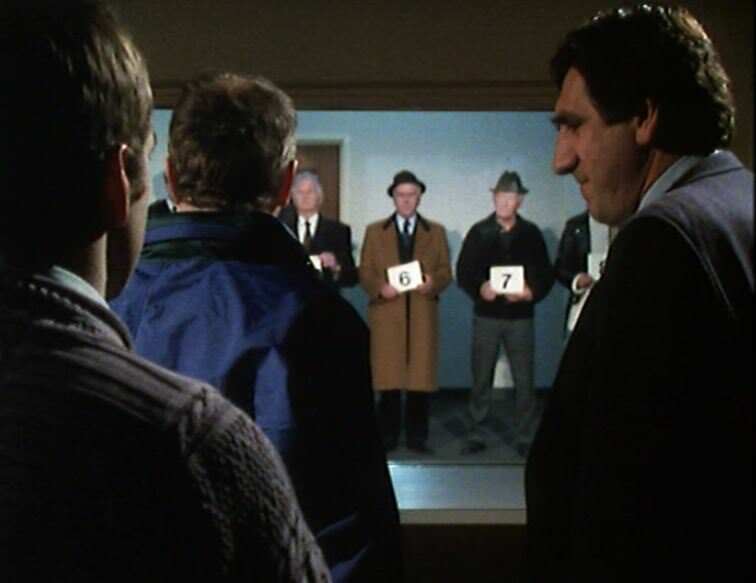 I thought the police line up was ridiculously funny. Edit: Let me add it in here, it's just too funny, seeing the camera blur but seeing Arthur Daley's jacket and hat, as the police put him there in the middle so he could be easily made out as they brief the person to try to identify him, then they bought Arthur in to identify the actual guy like it worth the pay back which led to a more humorous scene. The GO Daley rap adverts were really funny too, and a good reflection of the times when there were loads of pirate radio stations operating out of the back of vans and bedrooms all around London. Well worth a watch chopper. I can't understand why you don't rate the Ray years much Chopper, maybe the first series can be a touch hit and miss, but the final 2 series are very strong and stand up very well against the Terry years.